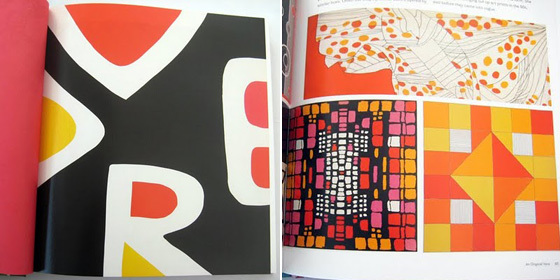 Using patterns in print design can really punch up a project. It's nothing new, but I'd like to point out a few different variations you might see as key benefits. Simplify a project by using patterns. 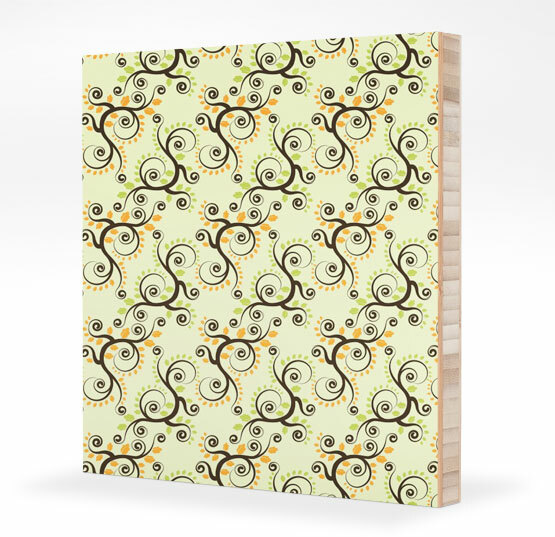 In this design, the abstract pattern with the perfect color palette, truly resembles a feel for the arts. 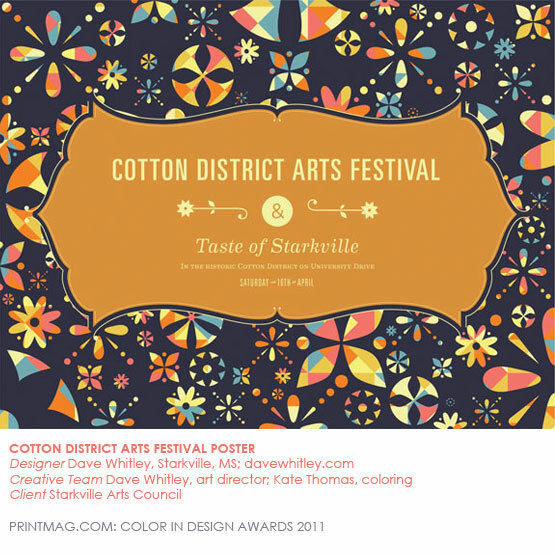 It doesn't restrict the design to a certain type of art where the festival might cover anything from painting, sculpting, fiber arts and more. Using an artistically geared pattern keeps that visual open. 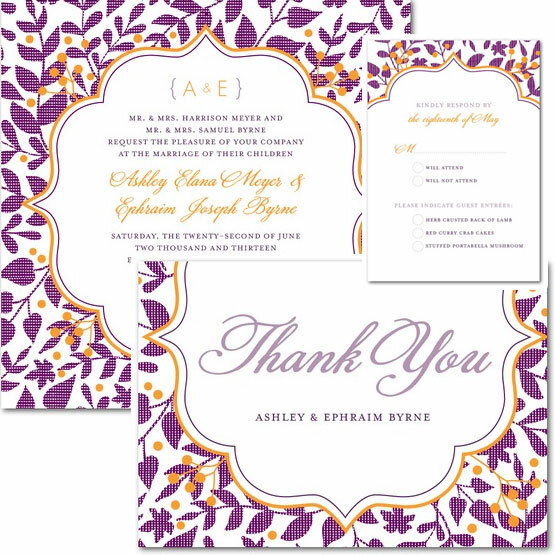 Using patterns in coordinating print projects can easily lend a hand in matching sets of items such as wedding invitations which usually contain a main element, the invitation - plus response cards, enclosure cards, save the date cards and thank you cards. 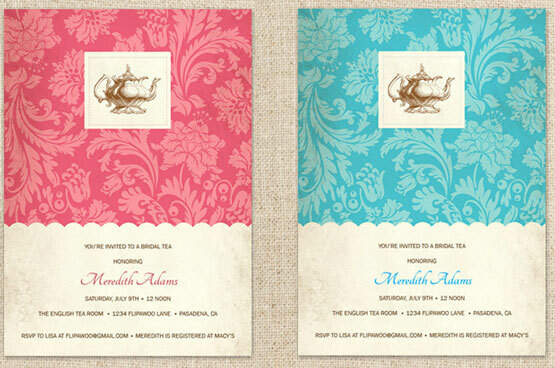 Not to mention possibly following through with the design on wedding day programs, seat placement cards, etc. When working with products you want buyers to customize, simple two-color patterns make it easy to do so. This makes it a snap for you to go in and adjust the pattern palette before shipping a digital file or physical product off to a client. No matter what type of print project you have, these are a few benefits to using patterns to speed up your design or business process, not to mention a great way to add a ton of interest in your work. Here at COLOURlovers you can download an .SVG file of your pattern designs as long as you were the original Pattern Template creator. Additionally, if you have Seamless Studio, you can export designs as: .SVG, .JPG or .PNG to be able to use in other graphics software for design. Link to and place an image of a project you have designed with patterns. This can be from a yesterday or today, real or fake and must be a complete looking project. Does it fall under one of the three examples above? 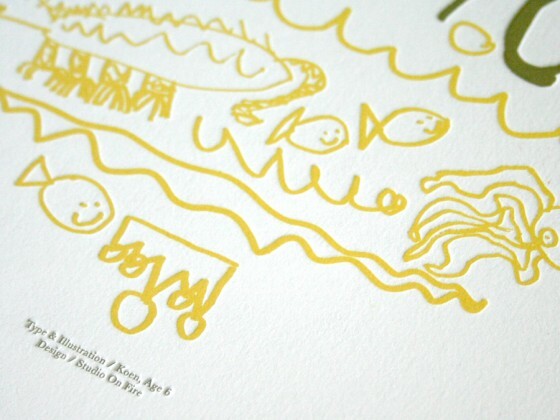 Link to and place an image of a print piece or pieces (such as a wedding invitation set) you adore and think is a prime example of one of the above three examples. In addition, I'd love to know why you like using patterns in your design or why you like seeing patterns in design. Entries will be collected through Sunday, August 28th, 2011 (by midnight PST). Next Day Flyers, the postcard printing specialists will be providing gift a credit of $75 to the randomly selected winner! 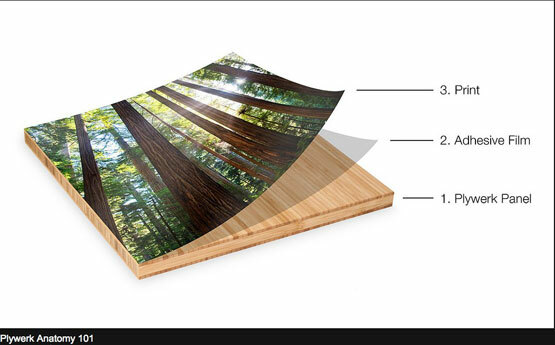 Introducing...PLYWERK, an eco-conscious photo mounting and art panel company based in Portland Oregon. They work with professional artists, photographers, interior designers, point and shoot photographers, parents, and everyone in between! Art pieces are a made up of your print adhered to a Plywerk Panel to create a beautifully natural piece of wall art. Gorgeous bamboo or maple are offered for the wood options. 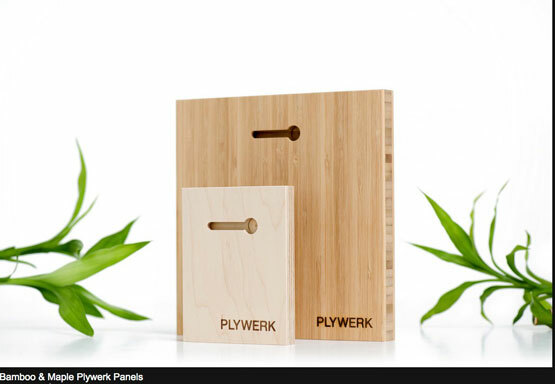 COLOURlovers has recently become a Pro Partner of PLYWERK. Why is this super notable to mention? Because you're going to get the best, most amazing deals ever when you create an account (which is free). These deals are customized to COLOURlovers Members Only under the Prodeal membership (which is also free). Pretty sweet huh? Welcome to The Design Minute, a new feature on the COLOURlovers blog where we take a quick look at an inspired design, whether it be on a canvas, a t-shirt, a billboard or a passing elephant, and have a quick chat with the artist behind it. 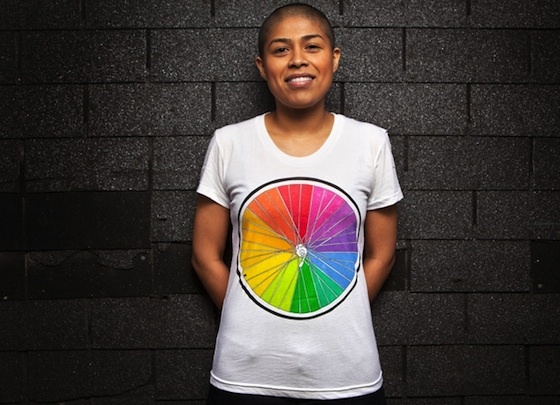 Today's design is called Color Wheel, and it can currently be found at ultra-cool t-shirt design site Threadless. Creator Ross Zietz has a few other designs under his belt, but this one was perfect for our color-obsessed readers (and yes, I'm talking to you). COLOURlovers: Give us three words that you feel best describe this design. COLOURlovers: Do you have a current favorite Threadless design? If so, what is it? Ross: Dead Pirate by McBess. Nice and Simple. Sorry it's not too colorful but it's the one I wear the most. COLOURlovers: You have to create a design in under five minutes, using only words to describe it. Go. 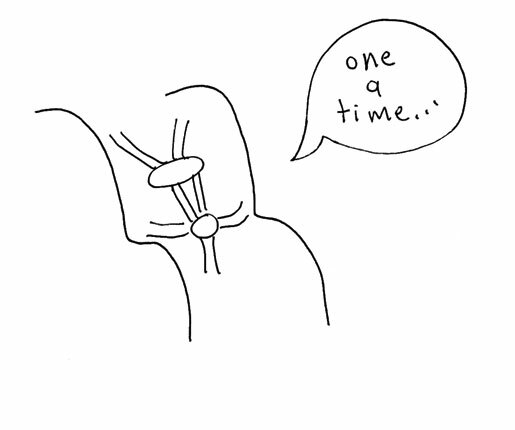 Ross: Ha... A wide open shark jaw, just the two jaw parts (top and bottom)... The teeth look like normal sharp shark teeth from afar but when you look closer at them, you realize that they are actually sails to a bunch of tiny sailboats. I think i'm actually going to design this tonight! Don't go anywhere!!! There's a super fantastic book giveaway after our feature presentation! Just holding this book makes me go, "ahhh..."
First, I noticed that I can plop it in my purse, no problem (and I don't carry an overly-large purse!). It's not too heavy or too many square/cubic inches. That's important, because I dread getting a great book, but eyeballing how thick it is sometimes hurts as I rarely have time for reading real books. My arms aren't going to fall off trying to hold it up while I'm laying in bed reading it. Second, most definitely the quality. Smashing Magazine did not skimp on getting this little ditty published. 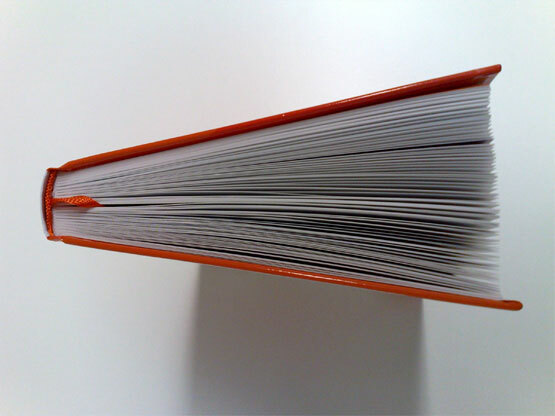 Quality, stitch-bound, hard cover and hefty pages that produce sharp graphics. It's a nice tight number that you'll probably keep on your desk or prop on a shelf just because it's so pretty. Third, artwork and graphics, amazing! They seriously couldn't go wrong with using Yiying Lu (yes, forever known as the creator of the famous Fail Whale from Twitter.com). But seriously, who can resist that kind of work, I know my three year old can't! 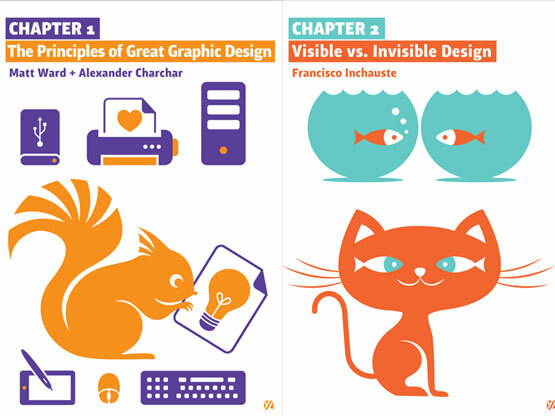 What three year old do you know peruses a web and graphic design book with focus and interest? I will admit mine has a great attention span, but still... I'm caught flipping through the pages simply studying the chapter artwork. I have to laugh at myself. Fourth and last, the cutest little ribbon bookmark comes attached. What a nice little touch! I bet this is the most talked about ribbon bookmark in the history of books. I suppose I will not be lazily dog-earing my new book. So hands down on the book construction and makeup. Smashing you get a full applause in that area (I think everyone else would agree, no?)! I realize that you can make something look pretty dang great, but fill it with garbage. 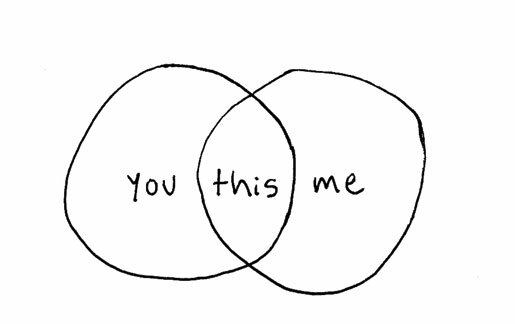 Not in this case. 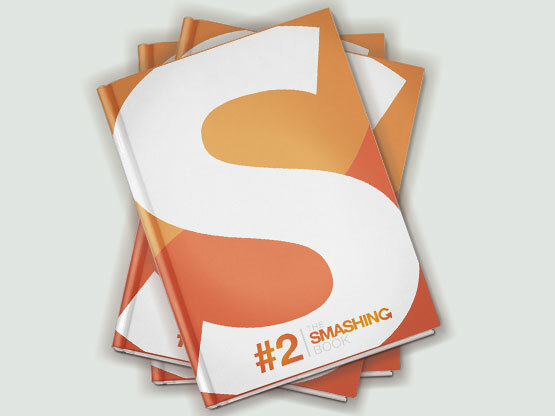 I might be a bit bias because I am a HUGE fan of Smashing Magazine and the fantastic information they continue to provide to the design and web communities.... 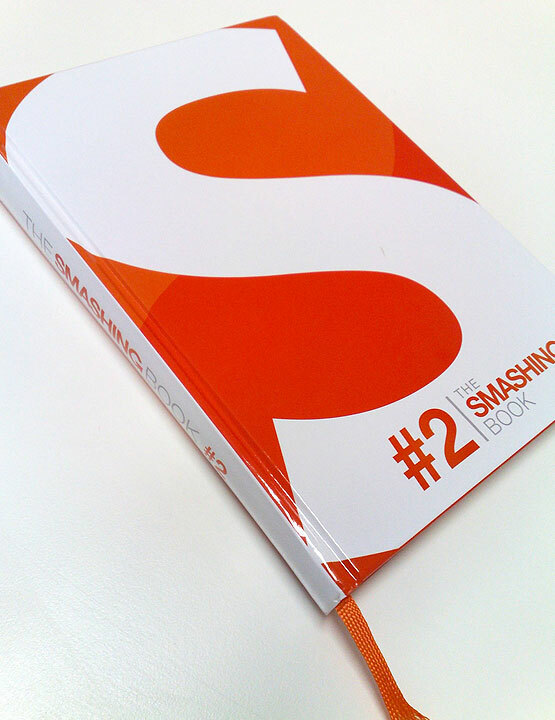 I will note, however, that the previous Smashing Book #1 seemed somewhat of a letdown to a "few" folks, which has become more prevailiant with Book #2 being such a positive hit and maybe with more of a comeback in the comparisons being made. What I enjoyed in the first chapter was the correlation between the two, how different and yet similar they are. 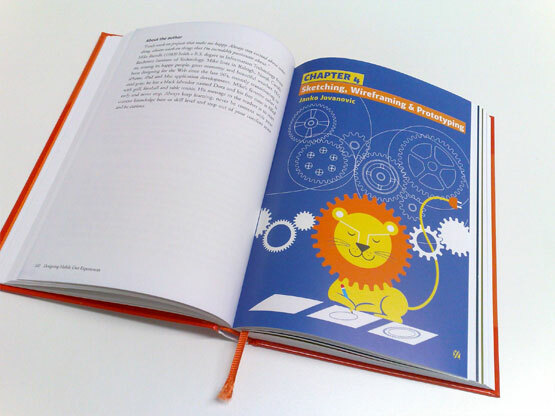 What I most enjoyed about this chapter was it's focus on using design effectively and timelessly. 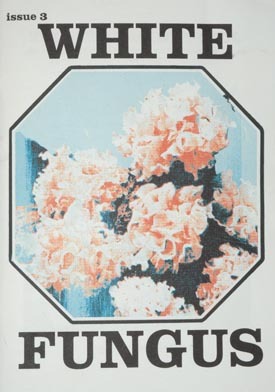 When I was reading through the pages of Timeless Thinking - which included talk about simplicity, adding too much gaudy junk (aka ornaments), minimalism, contrast, space and tension... it really brought me back to the basics in art school and working with drawing techniques. Sometimes I feel that I start a project over-designing and after I get that part about needing to impress the client out of my system and go minimal, it never fails to be the winning pick - this chapter was a kick in the pants refresher. 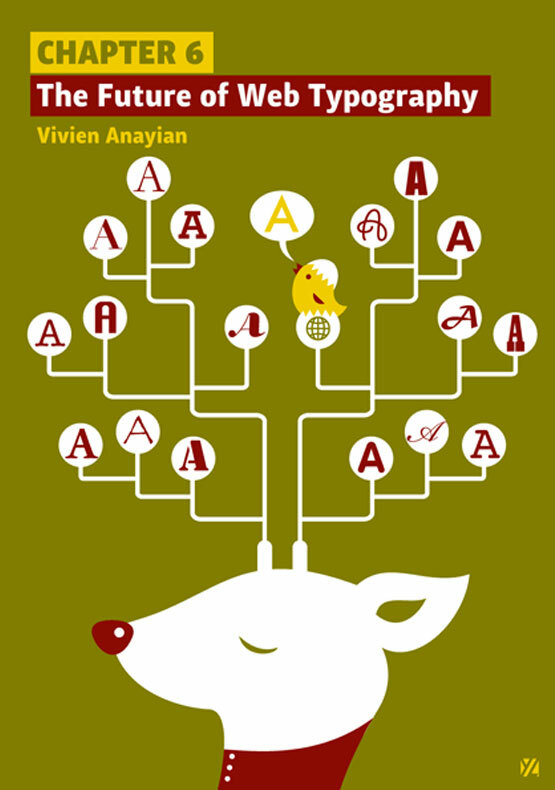 Then I read on to variations of Type and its effectiveness as well as the role it plays. 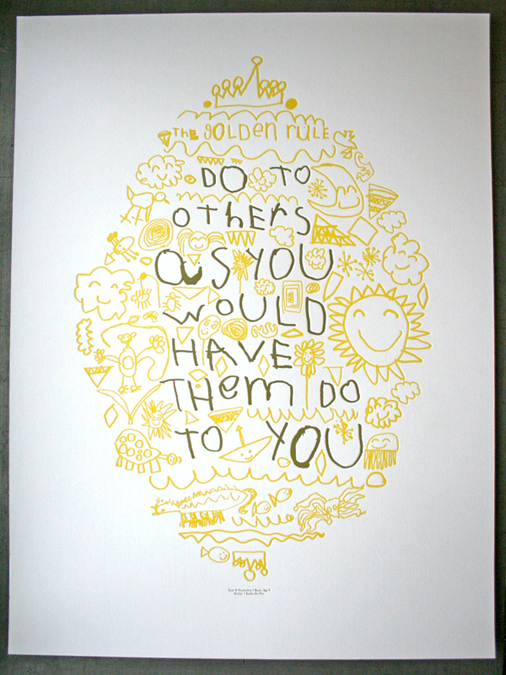 Overall, a golden chapter to set your path a little straighter or teach you a few things. 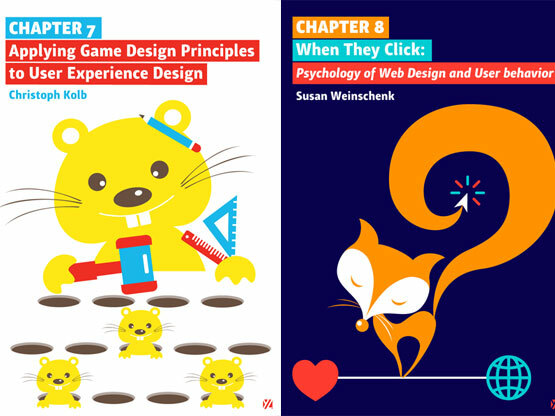 My other favorite, is chapter 7: Applying Game Design Principles to User Experience Design. 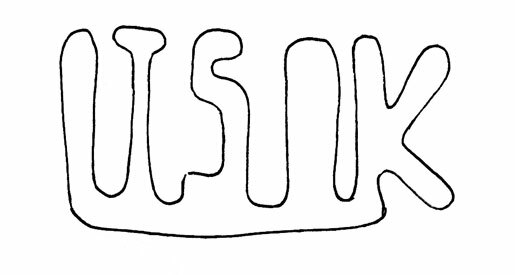 What I most enjoyed was the play off of understanding the correlation between the two to make an easier way to think about UX Design. My favorite part starting with the section, The Name of the Game which goes through each of the five key attributes of the "game" of online interaction. 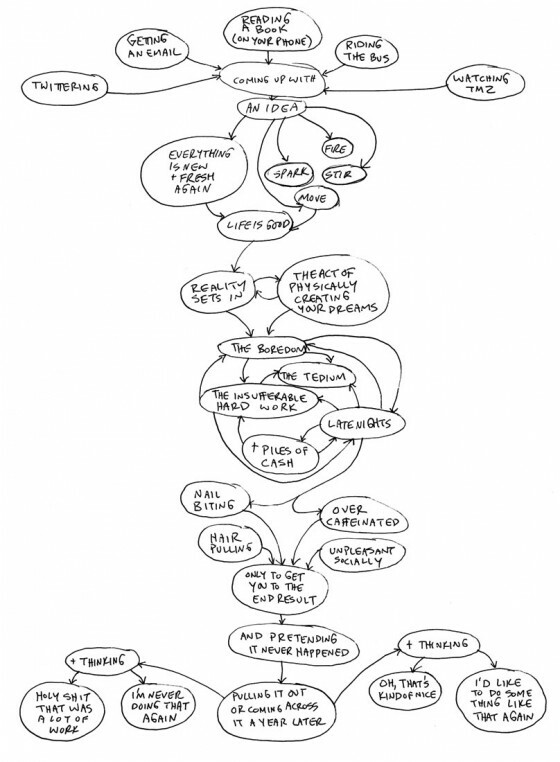 It became a fun way to think about UX Design. In conclusion, I like that the end of each chapter will sum up with a number of useful resources, about the author, some history from that section and even a nice extra Reading List for more in-depth study on a subject if interested - actually, I would have liked more reading resources at the ends of more chapters. I thought that was very helpful and resourceful to place in one area, instead of having to dig back through my dog-eared and highlighted pages and notes to locate a good resource I just know I marked. I do find that this book is something I will be keeping on my desk for some time to reference and re-reference when my mind is fogged or fighting to go a direction my gut knows I shouldn't. Are you tired of hearing me blab blab blab about the book? Are you just dying to get your hands on your own copy? Well here's your chance, we have 3 copies in our giveaway! Please provide what your specialty is be it Design Warlord, Freelance Web Designer or Couch Potato... but seriously, I would like to know what you do for money or fun in the relationship to wanting the book in your grubby little paws. The contest will run from March 10th, 2011 through March 18th, 2011 - Winners will be announced the following week, Tuesday, March 22nd, 2011. Winners will also be emailed via Love Notes on COLOURlovers.com so make sure you turn your notifications ON for both in-site and email so that I can collect your address and get your prize out ASAP. Contest is for COLOURlovers.com users only, so if you aren't a member, get signed up and get commenting! update: Did I forget to mention you can of course buy the book here (at SmashingMagazine.com) as well as preview a sample from the book and get other details. 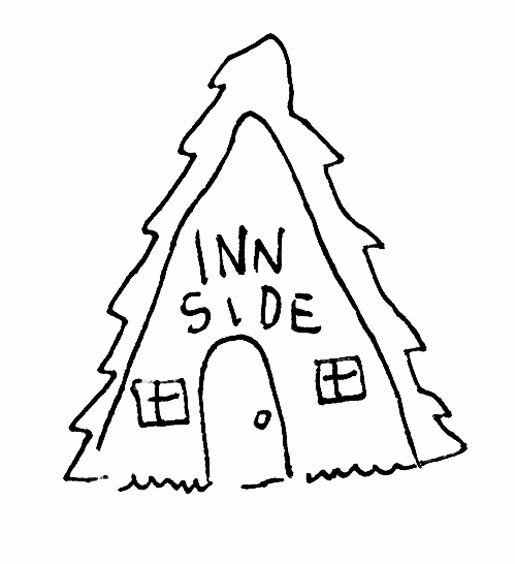 Pop on over and check it out! But wait there's MORE! Apparently there was just too much good stuff to go to print, so Smashing Magazine is GIVING you a FREE eBOOK called The Lost Files (free eBook). Results will be posted Tuesday, March 22nd (unless they magically appear on Monday the 21st. 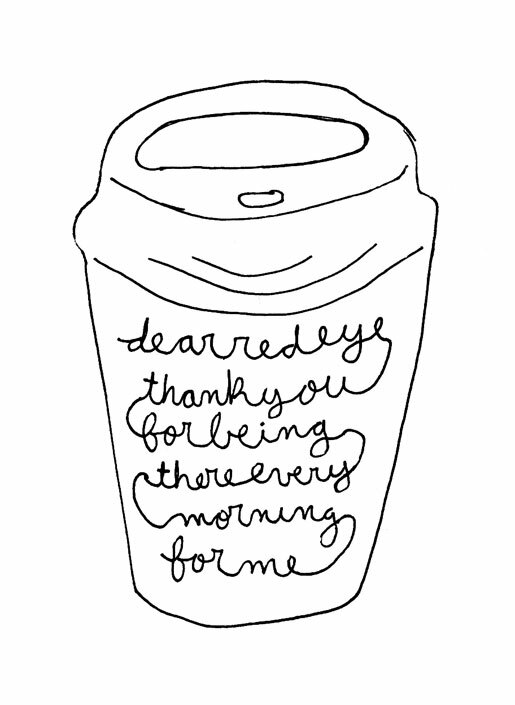 ;) Have a great weekend everyone! 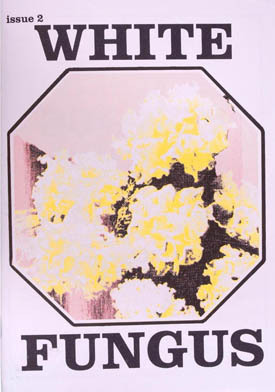 White Fungus is an experimental arts magazine based in Taichung City, Taiwan. 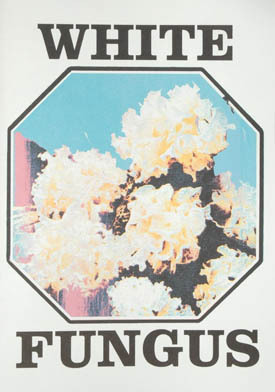 Featuring writing on art, music, history and politics, plus original artworks, poetry, fiction and comics, White Fungus is an ongoing experiment in community media art. As the spores have been released its creators look forward to seeing which way the wind blows. The only thing more uncertain than its future is its past. 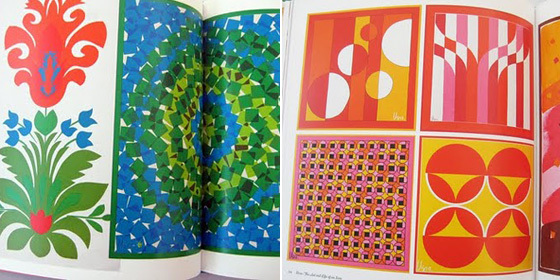 If you're looking for a gift to give a color lover this holiday season consider one of these classic color books. 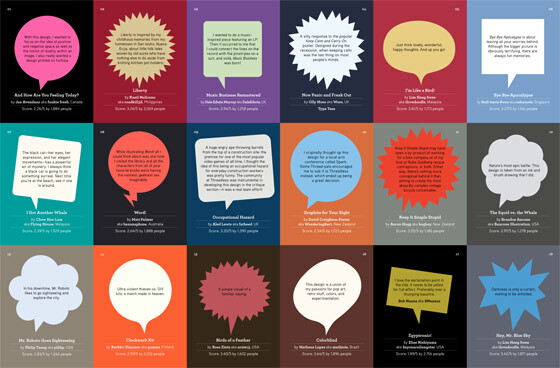 This is not an exhaustive list (if you have some favorite titles share them in the comments), but we think these are some great suggestions, each packed with valuable information and inspiration. 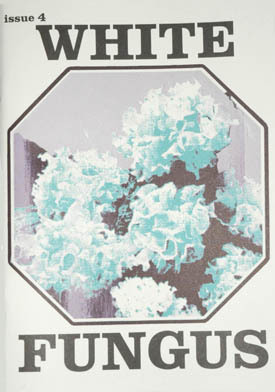 The latest edition presents a significantly expanded selection of more than thirty color studies alongside Albers’s original unabridged text, demonstrating such principles as color relativity, intensity, and temperature; vibrating and vanishing boundaries; and the illusions of transparency and reversed grounds. 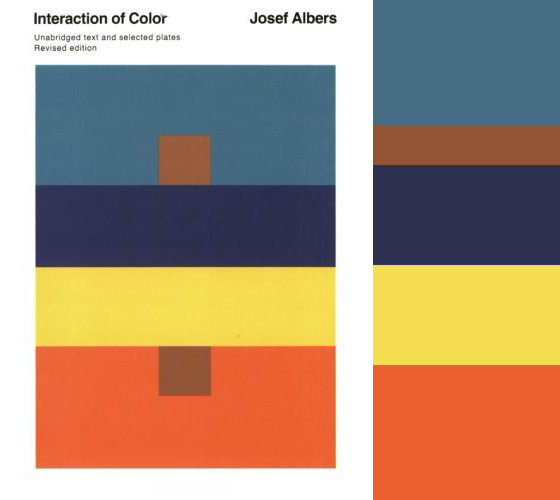 Now available in a larger format and with enhanced production values, this expanded edition celebrates the unique authority of Albers’s contribution to color theory and brings the artist’s iconic study to an eager new generation of readers. 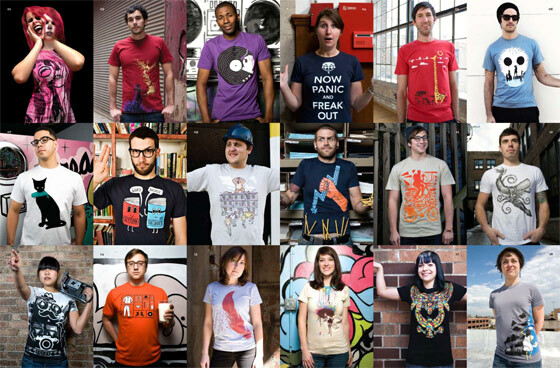 We have a lot of love for Threadless, the inspiring community based, crowd-sourced t-shirt company that has been printing the designs of their users, and building a forerunning company, for ten years now. In honor of their ten year anniversary they've published a book filled with some of their best designs, interviews with Threadless members and the history of the company written by founder Jake Nickell. 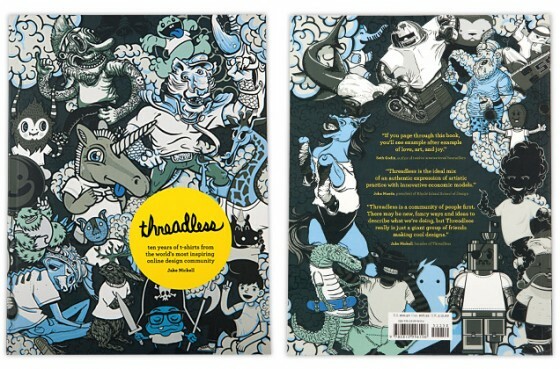 The Threadless book takes us through the colorful creations of an entire generation of design and t-shirt lovers, the most colorful of them all being the company itself. 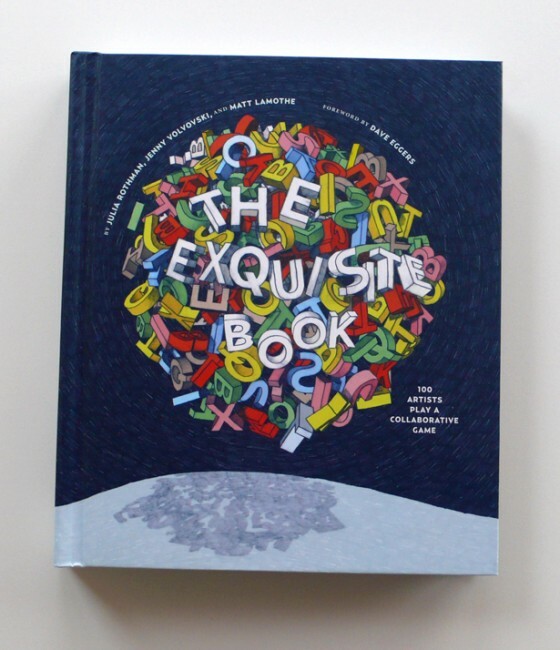 The Exquisite Book is a project based on the Surrealist game called the Exquisite Corpse. The book is a modified version of the game, played by one hundred contributing contemporary fine artists, illustrators, designers and comic artists. 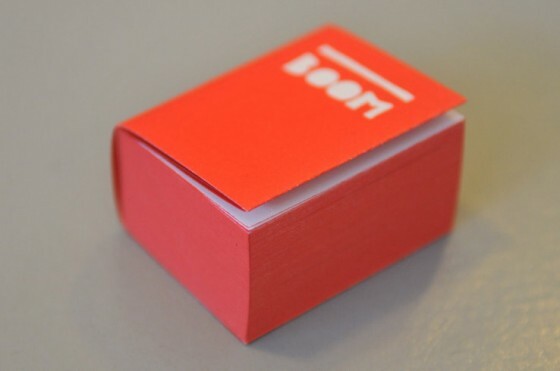 This miniature book contains a complete overview of Irma Boom’s oeuvre, with commentary and more than 450 full colour illustrations in 704 pages with printed edges. 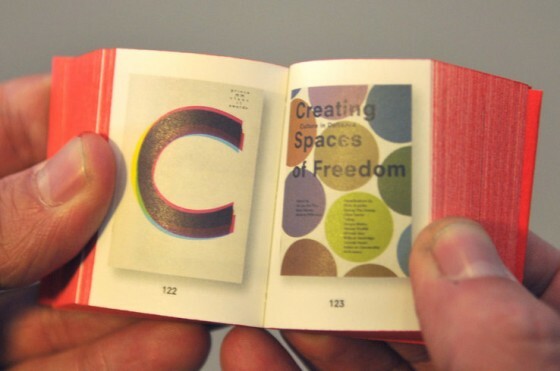 Boom is one of the most widely renowned book designers in the world today. 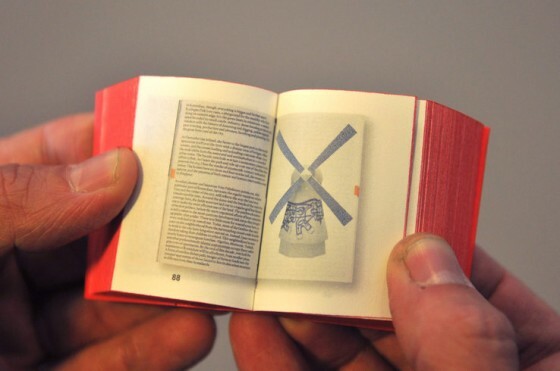 The book was designed by Irma Boom for her retrospective exhibition at the The Special Collections of the University of Amsterdam Library. 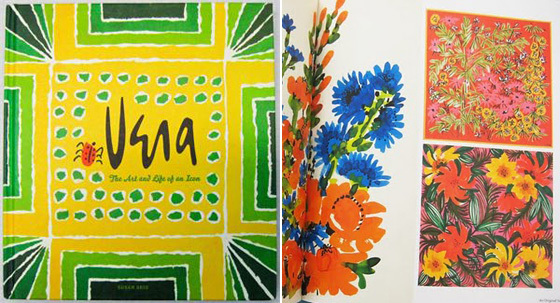 Legendary designer and artist Vera Neumann (1907–1993) believed in art’s ability to inspire and enrich lives. An innovator and one of the most successful female entrepreneurs of her time, Vera built her company on a radical philosophy: fine art should be accessible to everyone, not just a select few. Known for her iconic images of cheerful flowers, trendy geometrics, and vibrant ladybugs, she believed people should surround themselves with beauty. For the first time, Vera: The Art and Life of an Icon, tells her inspiring story through the art and designs she created. In this volume, richly illustrated with Vera’s original sketches, paintings, and photographs of her worldwide travels, readers are introduced to the amazing woman behind the dynamic designs that continue to inspire and influence art, design, and fashion.